The son of an Air Force serviceman, John Kyle was born in Michigan, moved to England and spent the largest portion of his youth in Colorado; however, after visiting the University of Kentucky in the fall of 1984—located in a state he had never before visited—he knew he wanted to enroll at UK. A summer spent tinkering with a Texas Instruments computer (TI-99) coupled with a love for mathematics led Mr. Kyle to study computer science. Before Mr. Kyle could complete his degree, Ford Aerospace Corp., offered him a job as a programmer in their space systems engineering division. Electing to take the position and complete his degree at a later time, Mr. Kyle began designing software for satellite surveillance and officially graduated with a bachelor’s degree in computer science in 1991. His success led to an offer from Cray Research, Inc., a renowned leader in the supercomputing industry. His team built and ran the first applications for the T3D supercomputer—the company’s first venture into massively parallel computing. In addition to performing cutting-edge research in a nascent field, Mr. Kyle’s time at Cray Research also gave him exposure to the business side of Cray’s operations. Not only was Mr. Kyle immersed in the technical aspects of supercomputing, he also met with customers and determined how to best serve their needs. In 1995, Mr. Kyle joined Silicon Graphics to help expand its reach into the global automotive industry. From that point onward, Mr. Kyle took marketing positions at technology companies and completed an MBA at Heriot-Watt University in Edinburgh, Scotland. In 2002, he accepted the role of general manager at ARC, a company that provided comprehensive “big” data solutions to airlines, travel agencies and government agencies. At ARC, Mr. Kyle founded the Data & Analytical Products business unit, averaging 50% annual revenue growth, increasing the user base from 0 – 28,000 and expanding ARC’s reach to over 35 countries. In 2007, Mr. Kyle joined Logi ANALYTICS where he served as the first vice president of marketing at the business intelligence software firm. Mr. Kyle exceeded the company’s objectives in all core marketing metrics, even winning a Web Marketing Association award for his Web presence strategy. During this time, Mr. Kyle also launched his own consulting firm, Kyle Venture Advisors, which helps companies develop leaders and launch internal start-up companies within the parent company. In 2009, Spain-based Apesoft, Inc., made Mr. Kyle vice president of global marketing and, just one year later, president of its U.S. subsidiary. As president, he has increased closed-deal volume by 350%, improved customer retention and increased profit margins. 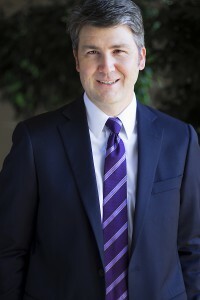 Mr. Kyle serves on the college’s Department of Computer Science advisory board, and previously served on the Logi ANALYTICS and Teradata boards of advisors. He is an ordained elder and ministry leader at McLean Presbyterian Church. Mr. Kyle and his wife, Shirley, live in Ashburn, Va., and have two daughters, Sarah and Jessica.